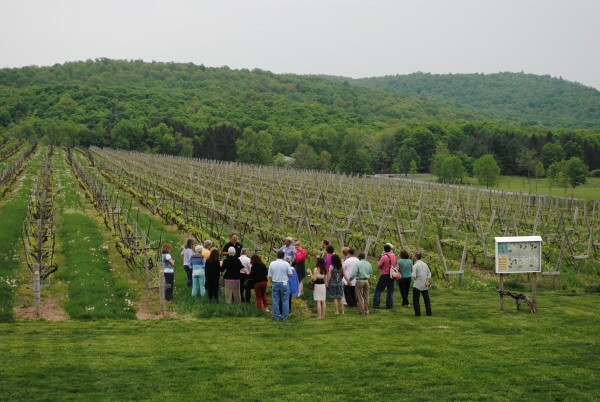 Considered the “Hudson Valley’s flagship winery” by The New York Times, and “a great place to visit” by The Wall Street Journal, Millbrook Winery delivers an exceptional wine tasting and tour experience year round. Voted Best of Hudson Valley for 21 consecutive years! Group and bus tours are welcomed guests here at our winery. Space is limited, so parties of 10 or more people must make reservations at least two weeks in advance. Group tour and tastings are available daily from 11:00 a.m. to 2:00 p.m., year round. Payment must be made in advance and cancellations must be made at least 48 hours prior to the reservation date. **Groupon Vouchers not allowed in groups of 10 or more. Includes a tasting of 5 Millbrook Wines, Olive Oil and a Souvenir Tasting Glass. Includes a guided winery tour, a tasting of 5 Millbrook Wines, Olive Oil and a Souvenir Tasting Glass. Includes: In-depth tasting of 5 premier wines including vineyard designates and selections from our California Vineyards, Olive Oil and Souvenir Tasting Glass. Subject to availability several custom packages are available to fit the needs of groups looking for a more unique experience. Group Cheese and Fruit Receptions: Groups have the option of pre-ordering fruit and cheese platters to present to their guests during a welcoming reception before their tour and wine tasting begins. Wine by the glass as well as bottle service is also available. Whether celebrating a company milestone or employee achievement or a special birthday or anniversary, personalized wine makes a great gift or souvenir for a group outing. We can design a custom label that fits your needs and occasion with quick turnaround times and cost. For more information on custom label services click here.